In Roald Dahl’s short story, William and Mary, William dies of cancer. But a novel procedure allows his brain, with one eye attached, to be kept functioning in a clear plastic vat. His wife convinces William’s neurosurgeon to allow her to take William (or rather his brain and eye) home with her. When home, Mary places William in a prominent place in the sitting room from where he can survey all her actions. He had been a domineering and controlling husband. He forbade her to have a TV and to smoke. Now, Mary purchases a TV and takes up smoking, blowing smoke in the direction of William. She will punish him for his abuse and his brain may stay alive, utterly powerless, for up to 200 years. This story was science fiction. But yesterday, the first step to creating the brain in a vat was reported in the US. Back in July 2013, scientists reported the first organ grown from stem cells: a liver. A kidney, heart and other organs have followed. The potential of these technologies to eventually provide replacement organs is also an opportunity to sweep away complex ethical issues: most obviously in avoiding the need for organ donation, but also in enhancing the ability to test drugs on lab grown organs before testing in humans- reducing the risk of harm to research participants, hopefully some day to a negligible amount. Now, just 2 years later, the first brain has been grown in a laboratory. The organoid has been grown for 12 weeks, the equivalent of a 5 week old foetus. 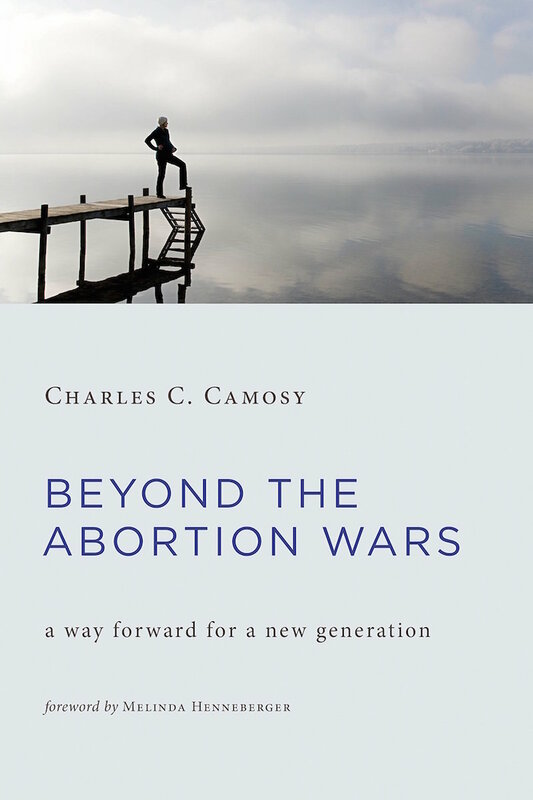 I was recently lucky enough to receive an advance copy of Charles Camosy’s forthcoming book to review – ‘Beyond the abortion wars: a way forward for a new generation’. In this book, Camosy masterfully traverses the ‘battleground’ between the ‘pro-life’ and ‘pro-choice’1 camps in order to show that this battleground is in fact no such thing. In fact, as Camosy notes, the majority of the American public actually agree on a middle-ground position on abortion. Despite what one might think from reading certain media outlets and Twitter wars, there is actually a large consensus in the public regarding abortion. This insight is deceptively powerful. By demonstrating the areas of agreement, Camosy is able to help guide us beyond the abortion wars to allow a way forward for a new generation. Feminists are kicking up quite a storm in Oxford at the moment. 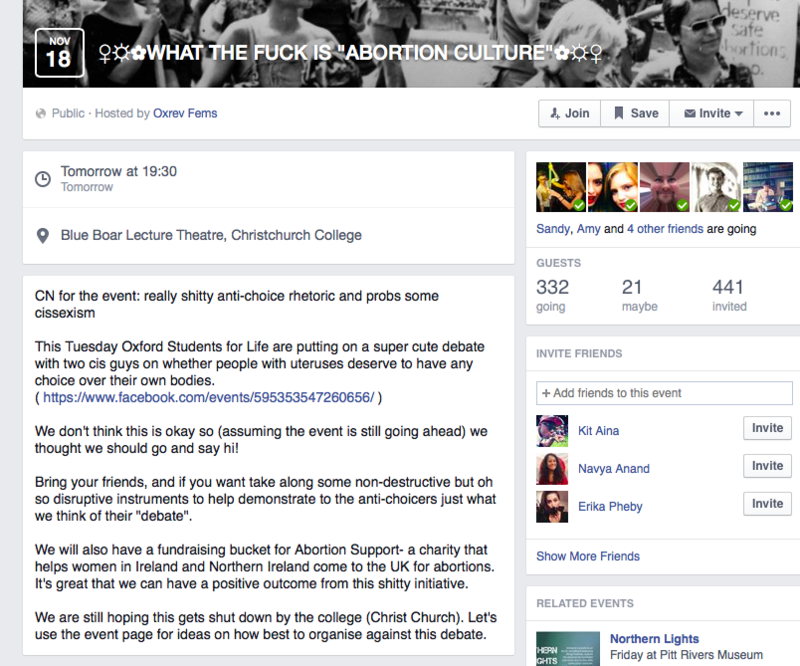 Oxford Students for Life have organized a debate on abortion to happen tomorrow (the 18th November, 2014), which has inspired some rather troubling attacks. Now, Oxford feminists (‘WomCam’) are generally rather intolerant of any pro-life rhetoric (or, indeed, anyone that disagrees with them), but what has really got their goat this time is that the debate is between two men.